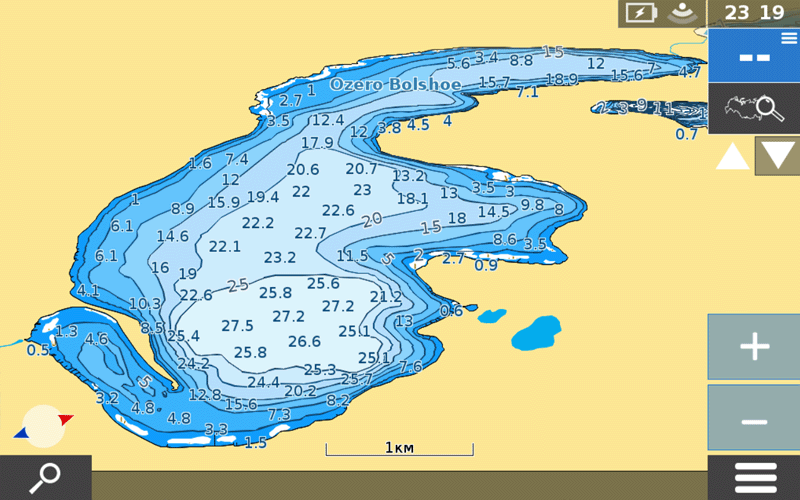 Composition of the map: isobaths, marks of depths, coastline, berthing facilities, boundaries of underwater hazards, names of bays, bays, capes, islands. 2. 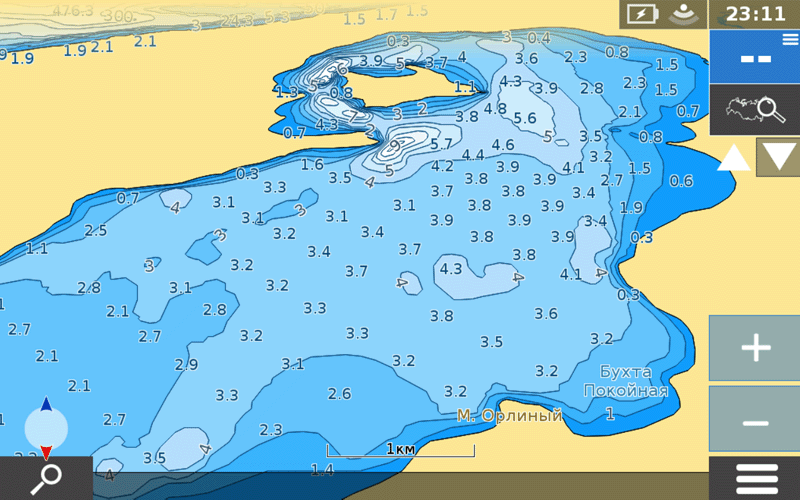 Launch the application and go to the "Add-ons"> "Catalog"> "Skins" section and select and download the "Navikart River-Sea - a set of libraries"
3. 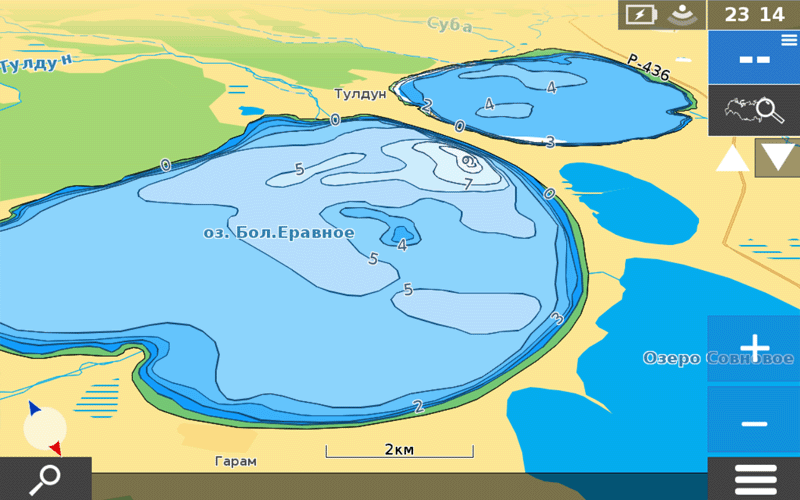 Download the depth maps in the "Add-ons"> "Catalog"> "Maps"> "Russia"> "Water Pond Depths of Russia" Maps. After downloading the selected map, confirm the use of the loaded map. 4. Acquire an activation code and activate the card by entering the activation code. 5. 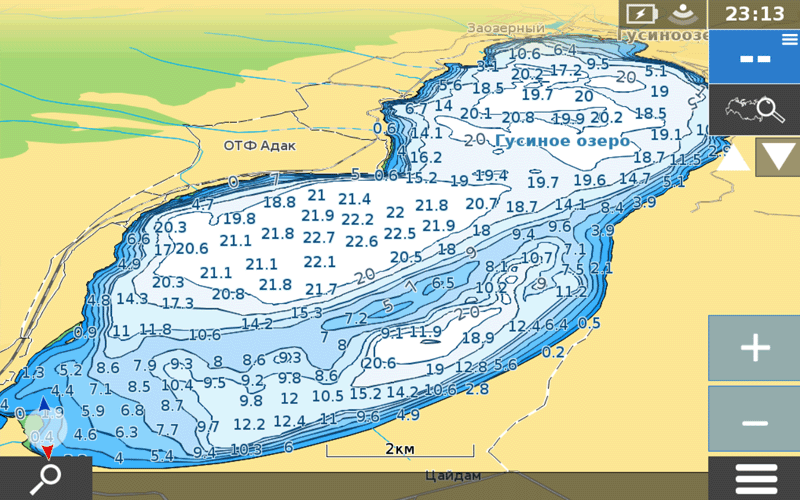 Choose the palette of the depth map that suits you in the "Options"> "Interface" in the "Skin" section and select "Navikart SeaRiver (palette-1,2,3)"
6. 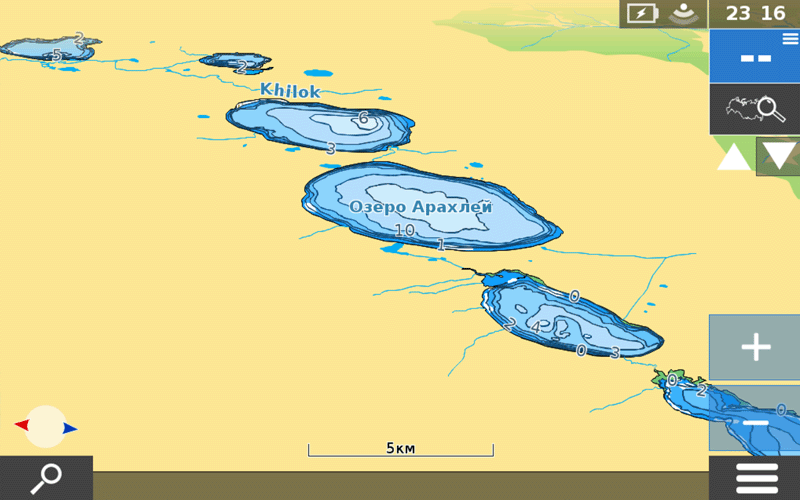 Turn on the display of depth marks "Options"> "Map" in the "POI on the map" section, select "Show" or "Filter" with a selection of the characters you need. The POI setting is also available from the Menu by clicking on the speed indicator.